Are you involved in a dispute with a trader or a client? 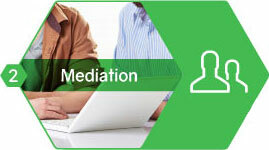 The Mediator of consumption can help you to resolve the dispute amicably. This is done on a voluntary and confidential basis. It is simple, fast and free of charge. The National service of the Mediator of consumption (Service national du Médiateur de la consommation) is a neutral and independent body which makes available to consumers and traders a voluntary and confidential procedure designed to resolve consumer disputes, that is to say disputes deriving from a sale contract or a service contract entered into between a consumer and a trader, on an amicable basis. The Mediator of consumption may serve as an impartial intermediary in order to facilitate dialogue between the parties and assist them in jointly seeking an amicable solution. If the parties do not reach an amicable agreement, the Mediator of consumption can suggest a solution to them, which they are free to accept or reject. The National service of the Mediator of consumption is included on the list of qualified entities drawn up by the Ministry of the Economy. The Mediator of consumption is entrusted with the task of informing consumers and traders about the possibility of alternative (extrajudicial) resolution of consumer disputes. Thus, both consumers and traders may contact the Mediator of consumption to obtain information about their rights and obligations in connection with alternative resolution of a dispute of that kind. The Mediator of consumption has the task of receiving all applications for alternative resolution of consumer disputes and, if another entity entered on the list kept by the Ministry of the Economy is competent to deal with the dispute, he forwards the application to that entity without delay. In the event that no other entity is competent to deal with the dispute, the Mediator of consumption takes action himself in order to help the parties find an amicable solution to the dispute. The Mediator of consumption may also propose a solution to settle the dispute amicably if, on completion of the procedure, the parties have not reached an agreement. The parties are free to accept or reject the solution proposed by the Mediator of consumption. Any consumer who is a natural person living in Luxembourg or in another European Union country and is involved in a dispute with a trader established in Luxembourg may contact the Mediator of consumption if the dispute concerns a contract with that trader. Any trader established in Luxembourg who has encountered a problem with a consumer residing in Luxembourg may also bring the matter before the Mediator of consumption. The dispute must derive from a sale or service contract. It is important to note that the National service of the Mediator of consumption is not a body for the protection either of consumers or of traders. Thus, he cannot answer questions from you concerning your rights and obligations deriving from a sale contract or a service contract. public providers of further or higher education. The procedure is entirely free of charge, both for the consumer and for the trader. However, the costs incurred by each party, such as lawyers’ fees, travelling expenses or the cost of an expert’s report, are borne by each party respectively, unless agreed otherwise. During the procedure, the parties may express their views freely, since information disclosed cannot in principle be relied upon in any subsequent judicial proceedings. The Mediator of consumption helps the parties renew their dialogue and find an amicable solution. The result of the procedure is notified to you within a period of 90 days as from receipt of the complete application. This time limit may be extended if the dispute is complex. Participation in the procedure is entirely voluntary. In other words, not only are the parties free to participate in the procedure and to withdraw from the procedure at any time, but they are also free to accept or reject any solution which the Mediator of consumption may propose. 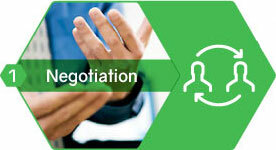 During the negotiation phase, the consumer and the trader exchange their points of view and may submit a proposal for an amicable solution. Thus, their different viewpoints and their willingness to participate in the procedure are clarified. During the mediation phase, the Mediator may contact each of the parties with a view to finding some common ground between them. If the parties do not reach an agreement, the Mediator of consumption may invite the parties to meet in order to discuss the possibility of an amicable solution. 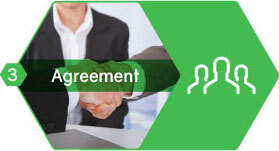 If the parties have reached an agreement on an amicable solution, they sign that agreement. If they have not achieved resolution, the Mediator of consumption may propose a solution which the parties are free to accept or reject. What does the Mediator of consumption do? The Mediator of consumption can inform you about the various possibilities you can try to find an amicable solution for a consumer dispute. He receives all applications for amicable settlement of consumer disputes and forwards those applications to a specialised entity, if one exists in the specific area of activity. Otherwise, he himself takes responsibility for the application. Who can submit applications to the National service of the Mediator of consumption? Both consumers and traders can submit an application for an amicable settlement to the Mediator of consumption for consumer disputes, that is to say disputes arising from a sale or service contract. Traders must be established in Luxembourg. What is a consumer dispute? A consumer dispute is a disagreement regarding a sale contract or a service contract entered into between a consumer and a trader. Can I go to the Mediator of consumption regarding any dispute whatsoever? You can submit any applications for an amicable settlement of consumer disputes to the Mediator of consumption. In what circumstances can the Mediator of consumption refuse to process my application? the application does not concern a dispute between a consumer and a trader arising from a sale or service contract.